I just wanted to share a card that proves that I haven’t gone soft! I have been making so many lovely, glittery, flowery, shiny, flouffy cards, tags and mini albums lately, I was afraid of slipping into a diabetic coma of some sort. 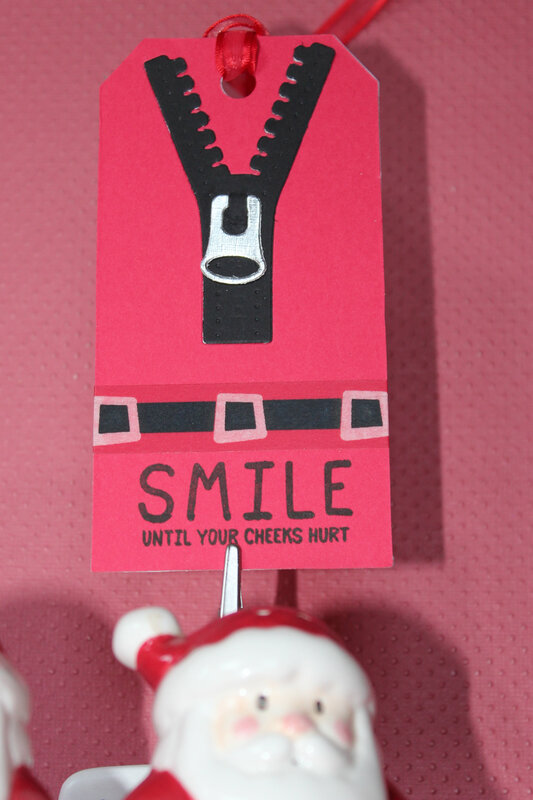 To shake it off, I created this card which is more in keeping with my usual disposition on life. Now Sandra would say this sentiment is exactly what I would say and do to her, but that is not Totally true! I do actually care for Sandra, but it doesn’stop me from heaping all the blame on her. LOL! Tags: Deep Red, Riley & Co. 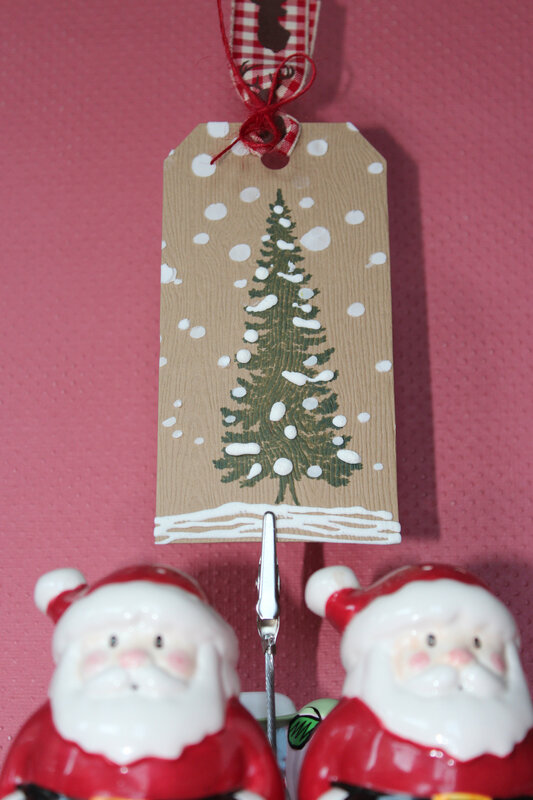 Somehow, I must have thought that the 25 tags I created for the 25 Tags of Christmas Challenge was not enough, because I made two more for this week’s Papertrey Ink Challenge. What a difference it makes in creating time when you have the perfect components altogether in stamp and dies sets designed to go together. The little triangle on the envelope is just a stray piece of ribbon that hitch hiked its’ way into the photo, Since it matches the colour scheme I am just going to leave it. It even balances the look of the envelope so I guess it was serendipity! 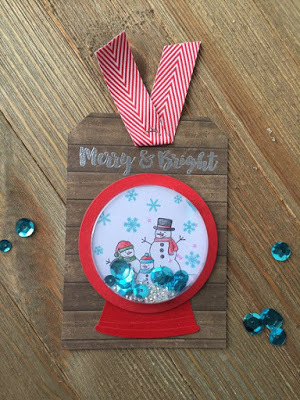 Supplies: Papertrey ink Post and Parcel stamps and dies, Papertrey Ink plaid patterned paper, Papertrey Ink Sprinkles and Sparkle sequins, Casual Fri-dies tag dies, Simon Says Stamp woodgrain cardstock, American Crafts ribbon and My Mind.s Eye enamel shapes. I can’t believe that I actually made 25 different tags, actually more because some days had two. 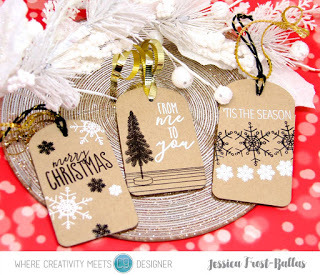 I just went day by day on Tracey’s blog first checking to see who the sponsor for that day was, and then glancing through the design team samples to see which tag caught my eye. In some cases, i did not have any product from that sponsor, and so I had to look for an inspiring tag and then try to create something similar with what I did have. 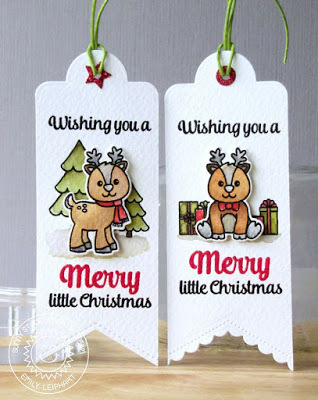 In other cases, I had some stamps sets or dies of the sponsor but they did not lend themselves easily to a Christmas theme. In those cases, I used something and turned it into something Christmasy as best I could. Those ones were the most challenging and the most fun to do. The inspiration was Daria’s tag. Specifically, the inspiration was snowballs. I started to think about, “what if someone got snowballs as a gift”. 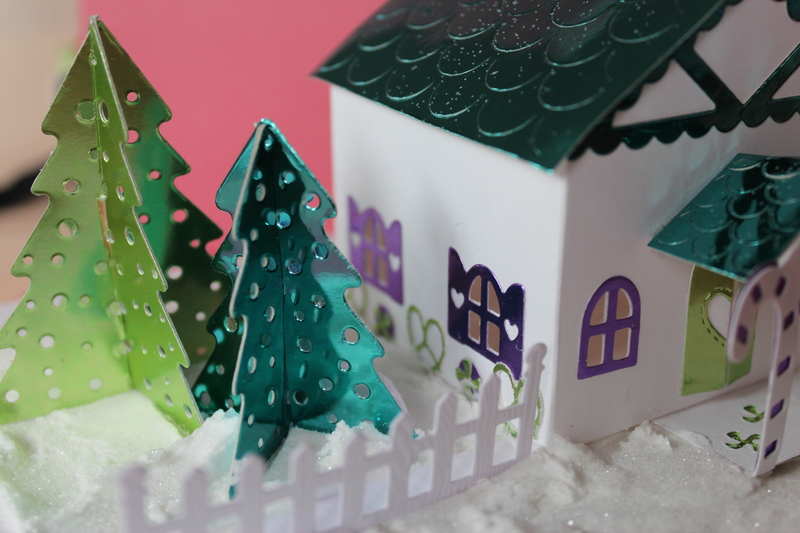 Well, truthfully, the cardboard box die from Neat and Tangled is one of my favorites of all time dies and I wanted to use it, and then I thought about the snowballs. This probably my favorite tag of the whole set! Neat and Tangled box die. Patterned paper from Lawn Fawn. Snowball are Merry Mini’s from Michaels. 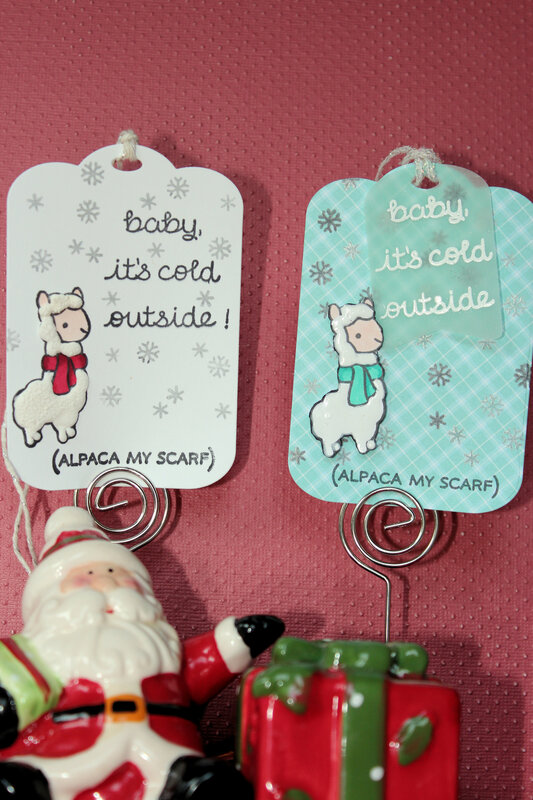 Winter Alpaca stamp set from Lawn Fawn. Vellum from Michaels. 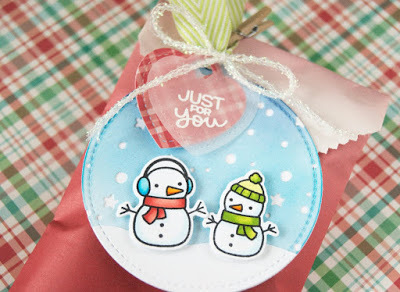 Snowflake stamps from Stampology. Patterned paper from Lawn Fawn. Pico embellisher and Liquid applique in white. Muse is a card club and not a store so I was able to just get inspiration from the samples and do whatever. 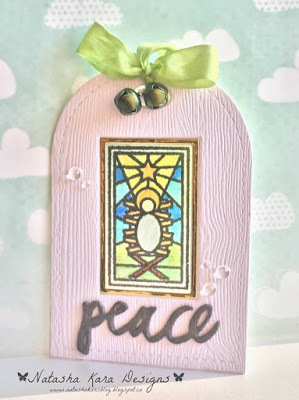 I chose to use Natasha’s tag as inspiration because she used woodgrain cardstock which I love and her tag reminded me of a Taylored Expressions stamp I had that was not yet used. Taylored Expressions A Winter View stamp set. Simon Says Stamp woodgrain cardstock. Pretty Pink Posh seed beads and Papertrey Ink rainstones. 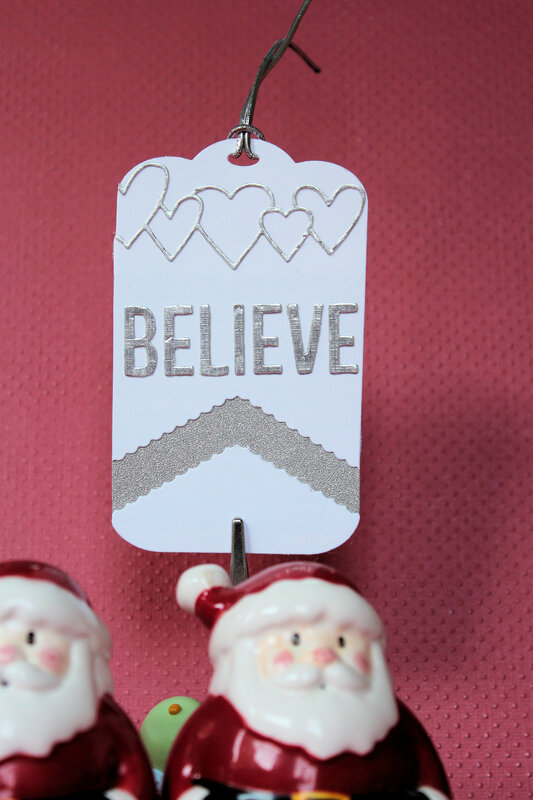 Tim Holtz Christmas words. 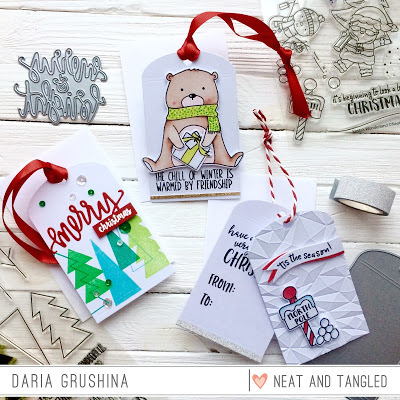 I had no problem being inspired by the lovely tags from Birch Press, but sadly I do not own anything from Birch Press. I certainly wish I did. Their dimensional cover plate dies are totally unique and totally amazing. 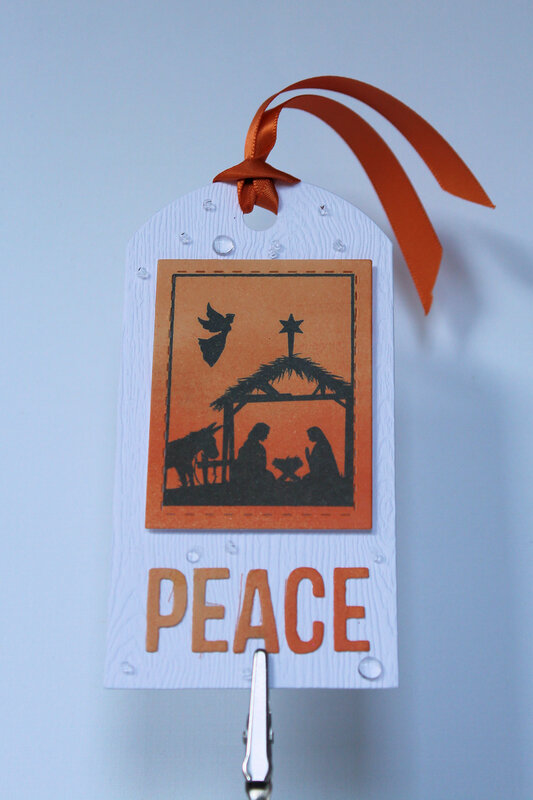 Stamp is from Heartfelt Creations. Texture paste from Ranger. Liquid applique in white. Homemade snowflake stencil. 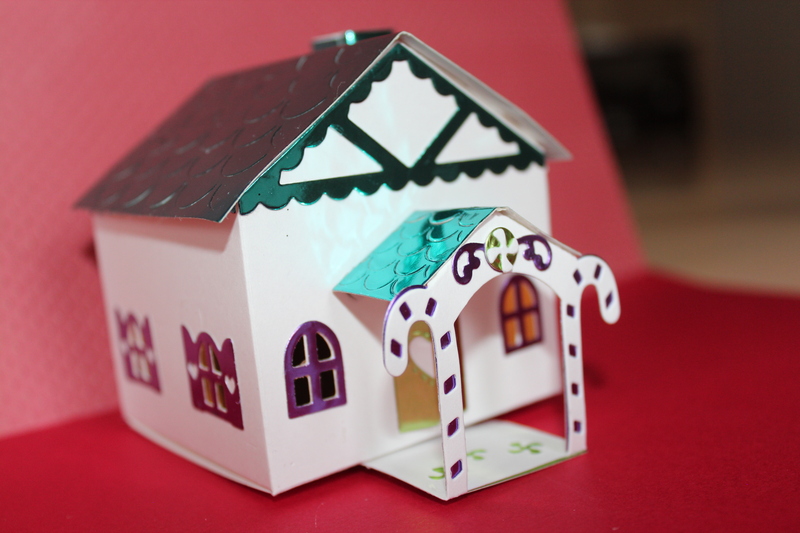 Paper Sweeties is an online store. 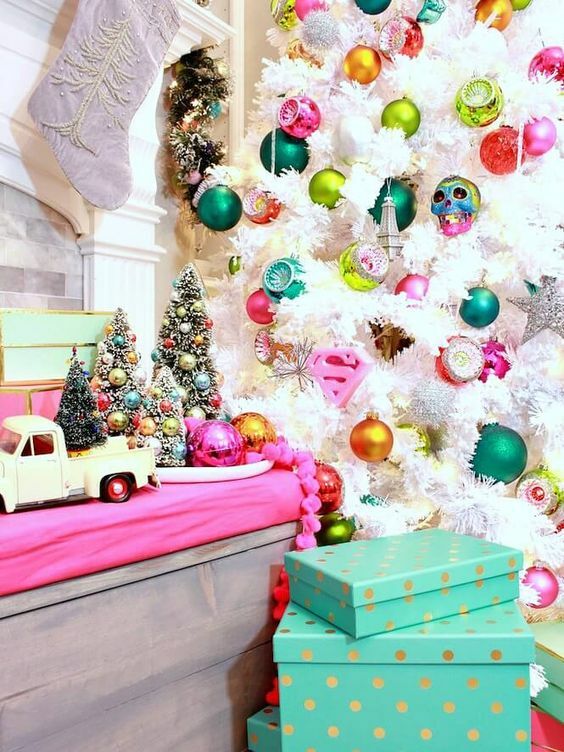 I have not yet shopped there, but intend to check them out. 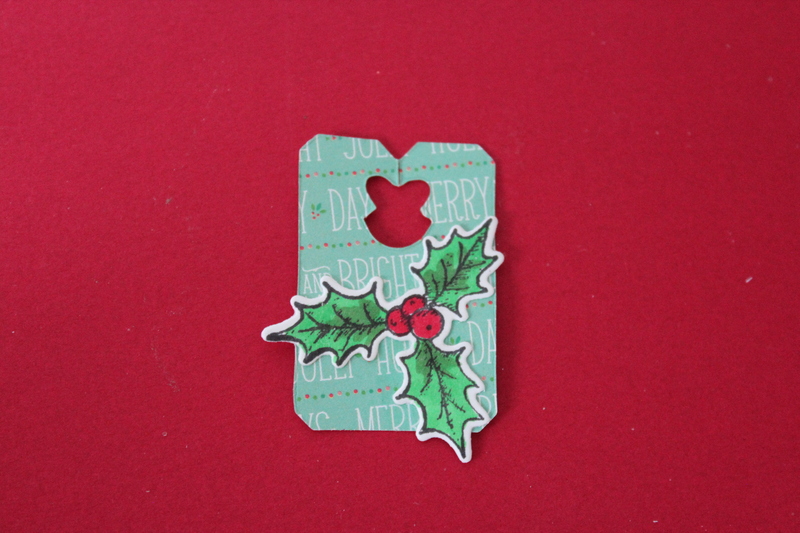 This tag is from Tim Holtz and literally is the size of a bread bag tag. It will have to go on a very small gift. 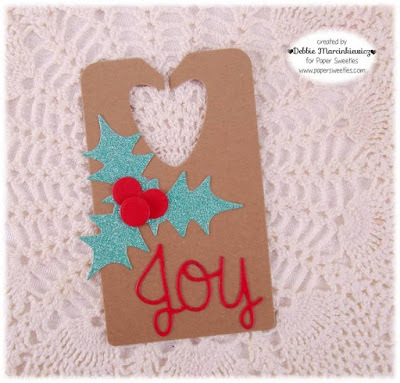 the holly is from Heartfelt Creations. 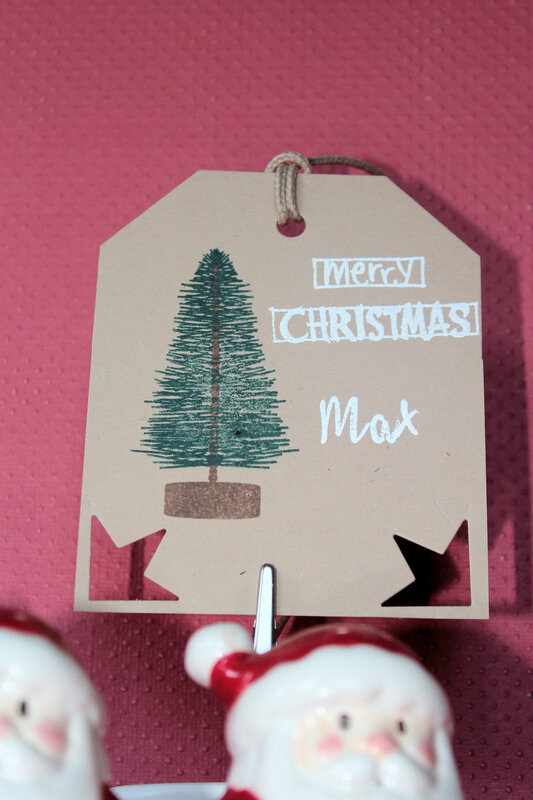 Once again I liked the kraft paper along with the stylized Christmas Tree. Loving the Perfectly Penned stamp set from Concord and 9th. 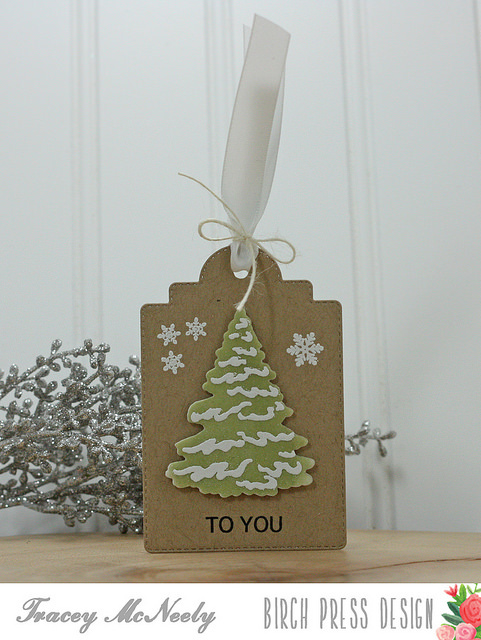 Paired it with bottle brush tree from Papertrey Ink and a Merry Chritmas sentiment from Stampendous. I wanted to make something using Sunny Studios Fishtail Banner Designs. 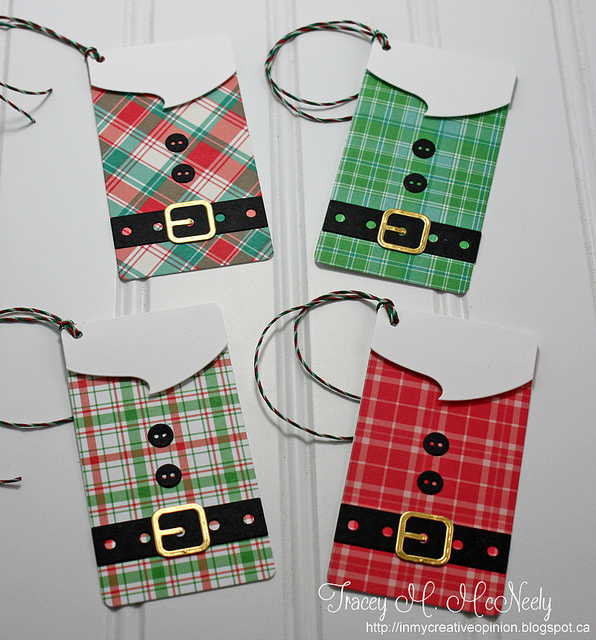 The Inspiration was Tracey’s shirt tags. Sentiment from Waffle Flower. Zipper die by Marianne’s Designs. 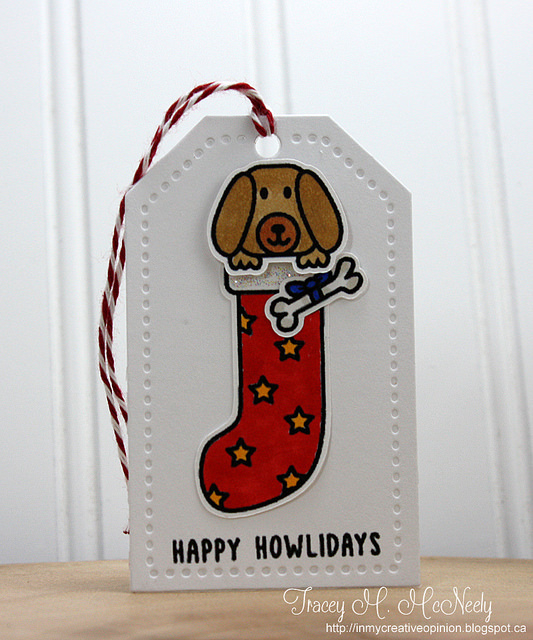 Stamp Set is Happy Howlidays from Lawn Fawn. Patterned Paper from Lawn Fawn. The frame is All Framed Up by Reverse Confetti. 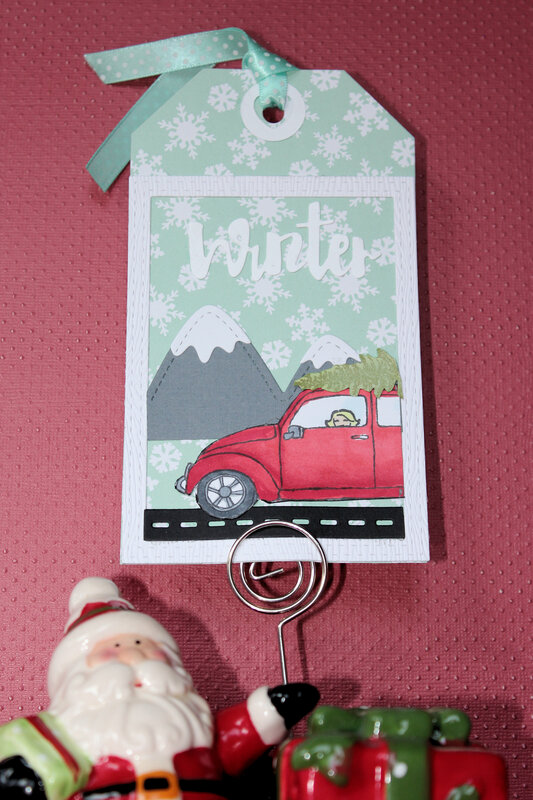 The car is by Stampin Up. Mountains are from Lawn Fawn. Tree is from Heartfelt Creations and the road is from Mama Elephant. My inspiration came from Joni because I love all things with little windows. Because Jillibean Soup shaker forms are deeper than most, I could put some very dimensional little items in it. Whew that is it! I have enough tags for all my gift giving this year. Now it is on to Christmas cards. 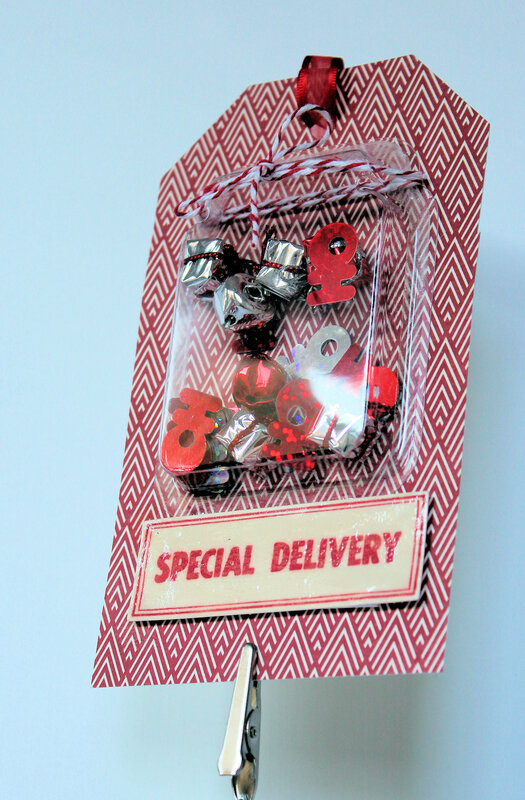 If you are looking for a way to chew up a lot of time, grab yourself the Post and Parcel Kit from Papertrey Ink. It is one of those kits where you start out with one idea to make one thing and you end up with a hundred ideas and have a hundred things in various stages of production. So much fun! If I keep working, I may end up with enough tags and gift cards and envelopes to use for all my gifts in Christmas 2017. Note I did not say for this Christmas as that is too short a deadline! One thing, that happens to me consistently, is that the moment I decide to move a craft tool or item from my front and center storage, to a more out of the way storage due to dis-use, I need that item. That happened with this kit project. I had several hot glue guns and glue sticks taking up room in my main tool drawer and they hadn’t been used for years. Off they went to long term storage in the basement and, you guessed it, I needed that kind of glue to hold up the mail box post. So, of course, back upstairs they came. I had the idea that I would make my own wrapping paper. That way I could be sure that the paper and the tags match well. 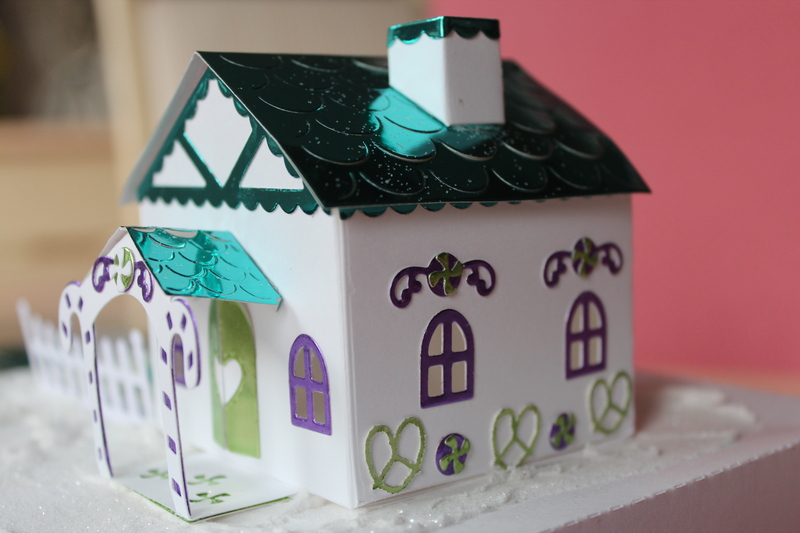 The making of this little blue box covered in homemade paper, convinced me that I am hallucinating if I think I could eliminate commercial paper. I have now modified that idea considerably. 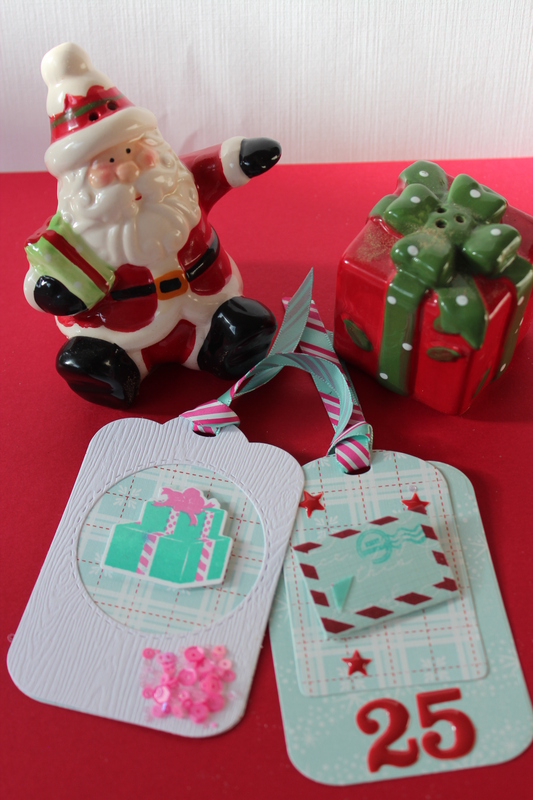 The bigger red mailbox can hold small gifts or gift cards and is decorated with texture paste using the stencils in the kit. Isn’t that little padlock just the cutest. 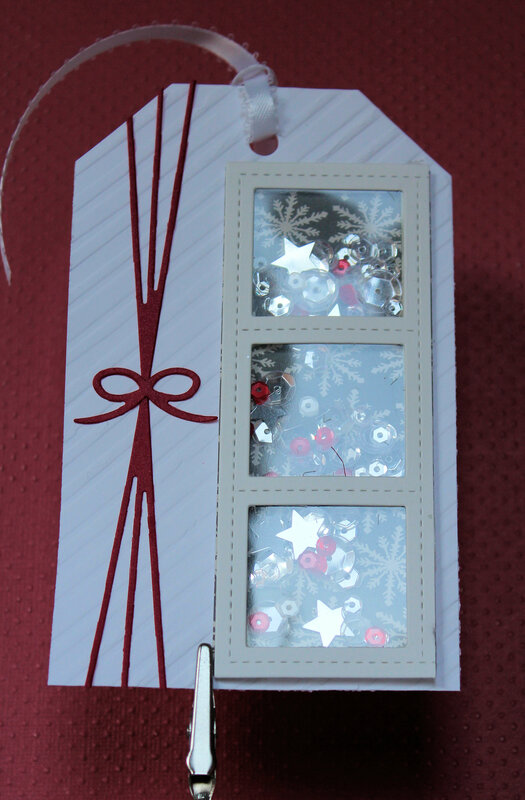 The little mailbox is supposed to hold two little chocolates, but I wanted to show that it also holds one little bottle of Stickles, should any of my crafty friends be inclined to give me one of those for Xmas. I had a issue gluing on the post to the mailbox (not in the center), and another issue with the thick embossing powder I used cracking, when I tried to roll it into the mailbox shape. These two issues resulted in the misshapen mailbox you see here. I am about to start over, thus my comment about chewing up time. This one turned out very well. 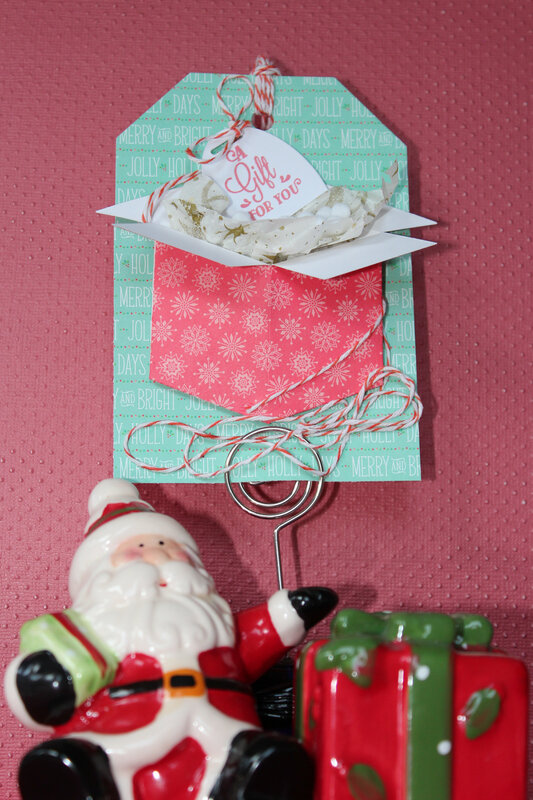 The gift card slides under the bow on to the postage stamp shaped mat and the whole thing fits in the matching envelope. The little envelope also pulls out and opens to another little postage stamp mat with the recipients name written on it. It seems I give more and more gift cards than presents with each passing Christmas so I am happy to have something with which I can personalize them. Well it is back to the drawing board, to see if I can make a less lop sided mailbox. 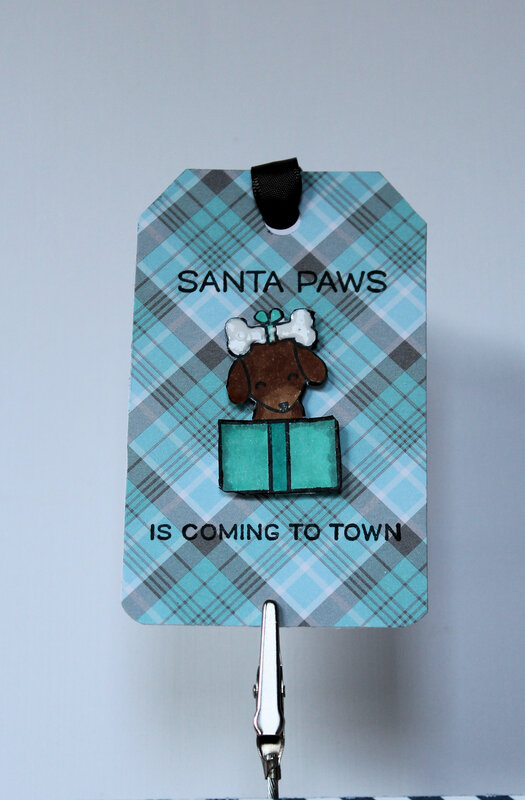 Quite some time ago my daughter in law, Lisa and I started on a mini book crafting project. 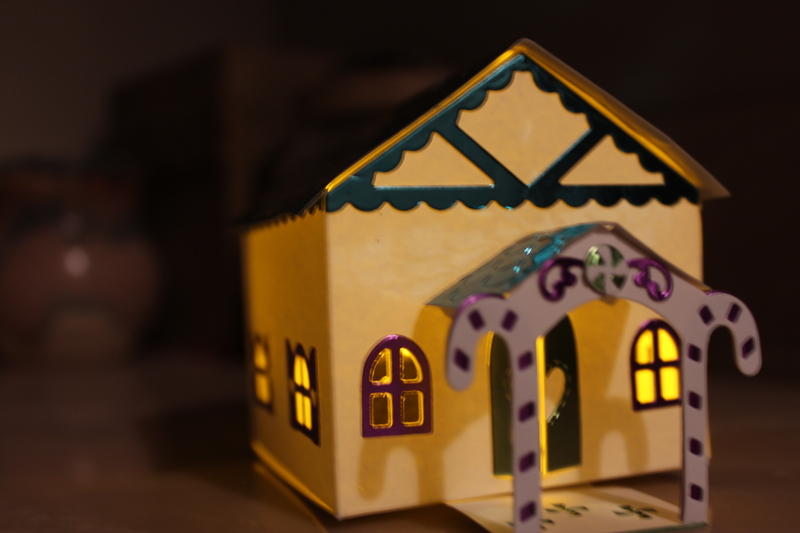 We got only partially finished after taking far more time than Lisa imagined the project would take. Then life got in the way and the unfinished project sat there waiting for life’s business to subside. Lisa decided she wanted to finish the book for a friend who is soon to have a baby girl. This was convenient as the book was all sugar and spice. At long last the book was completed at midnight last night. Yes, midnight! No matter to me, being retired but there is no rest for Lisa. Her daughter, Kylie was up at 5:45 am and so, of course, was poor Lisa. I was curious to see if the book stood the test of time. There has been an evolution in my crafting style, not to mention lots and lots and lots of craft supplies added to my craft room since we started on that book. Some of you may recognize the round mini book from Graphic 45. I was happy to see that I still liked how the book looked and I think it turned out well. The book is double sided and folds up accordion like. When folded up, it ties up with the pink ribbon and fits in the round metal film canister. Each page has a mat/banner/card/frame for a picture. The dotted vellum envelope is for a lock of the baby’s hair.